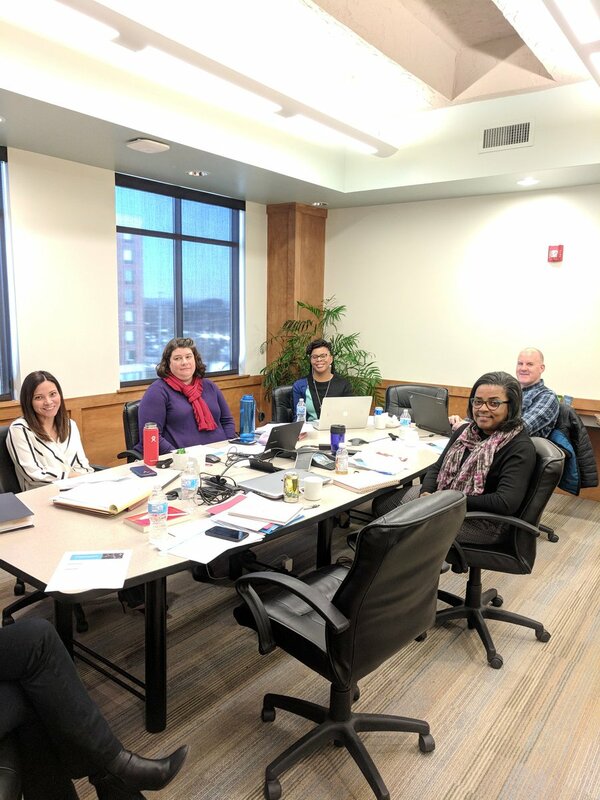 The Innovation Mission Fellows spent the last three days of February immersed in their second fellowship workshop, taking time to develop their projects and learn from an innovation expert and foundation partners. The five fellows last convened in December 2017. In the months since that meeting, they took initial steps in shaping their big ideas to improve the lives of individuals living in poverty. This included additional research to better understand the problems the fellows intend to address, what efforts may already be underway to address them, and the target population impacted by them. The fellows arrived for the February workshop with a clearer understanding of the issues they will address and the scope of their projects to address them. The workshops are led by Dennis Beatrice, an independent consultant and senior adviser at SRI International. Drawing from his experience in advising the development of social innovations, Dennis structures workshops by an iterative process of presenting to the group, receiving feedback, and refining the idea. Beatrice’s philosophy is that innovation is learnable. With a great idea, a disciplined process and a lot of passion, anyone can be an innovator, he says. Innovation, Beatrice says, follows a series of processes that can raise the right questions for people with a big idea. Beatrice asks the fellows to think about their problems and ideas through a Need, Approach, Benefit and Competition (NABC) framework. This NABC framing helps to organize thinking, identify gaps and most importantly, serve as the project’s value proposition and case for action. Fellows are also learning how to form elevator pitches, which they will continue to practice and tweak over the course of the fellowship. This is another important tool the fellows will take from the fellowship to garner support in the community for their projects. Classroom time was complemented by discussions with practitioners and researchers. Representatives from foundation partner organizations and grantees FrontLine, Enterprise Community Partners and Burten, Bell, Carr Development, Inc. joined the fellows to talk about what it has taken for each of them to move from an idea to a successful program and the challenges that they overcame to do so. They encouraged the fellows to build strong partnerships, listen closely to and include the individuals served throughout the development process, set audacious goals and not to give up despite setbacks. 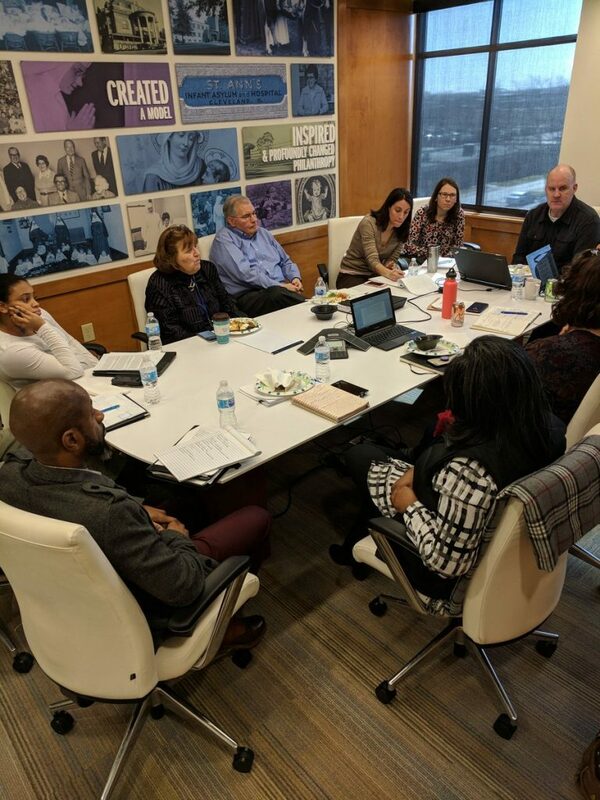 These local examples offered helpful insights and real examples that the fellows could relate to and learn from as they continue their work toward program implementation. Sisters of Charity Foundation Board member Dionissi Aliprantis, a research economist at the Federal Reserve Bank of Cleveland, invited the fellows to the Fed for lunch with a group of colleagues who research social issues and policies, many of which are related to the fellows’ projects. 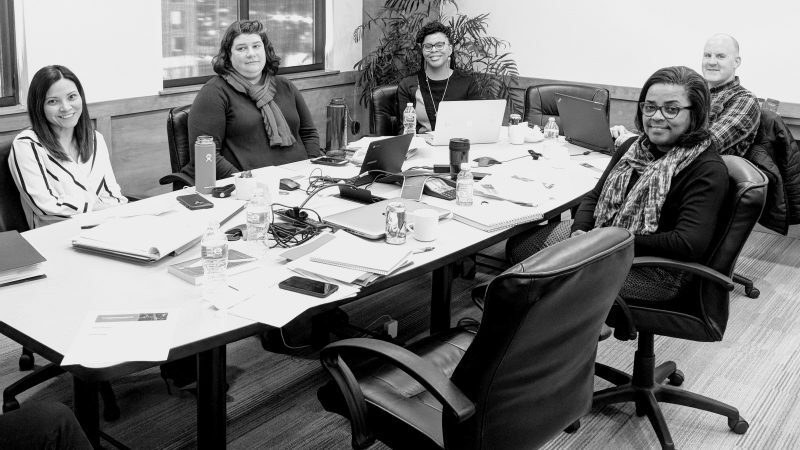 Over the next few months, fellows will continue developing their projects through research and partnership building with support from Beatrice and SOCF program officer Margaret Eigsti. They will reconvene in June for their next workshop, where they will present their progress, discuss how to refine their approaches, and learn how to develop an implementation plan for their projects. To learn more about the fellows and their projects, check out the Fellows Perspectives blog.